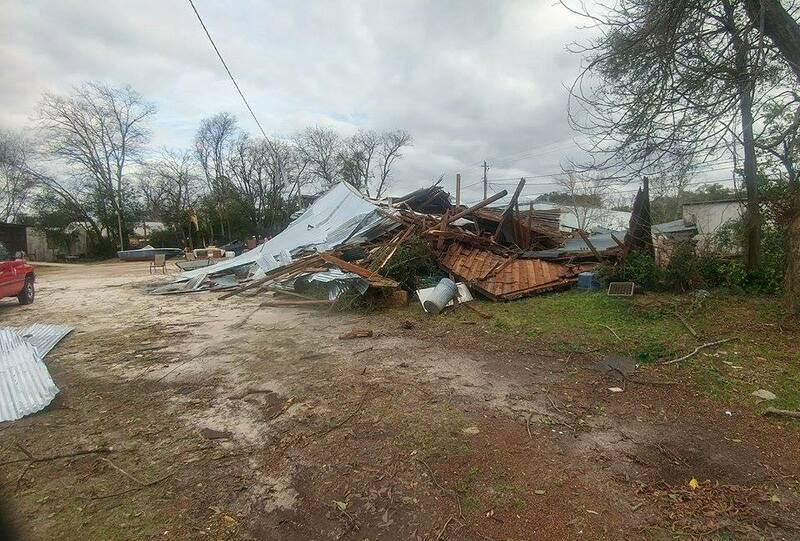 On the night of Monday January 2nd, 2017 Albany, GA was slammed with a devastaving storm which produced one tornado and straight line winds at speeds of 90 mph. Albany was declared a state of emergency by our Governor, with several thousand people without power and property damages in the millions across our community. 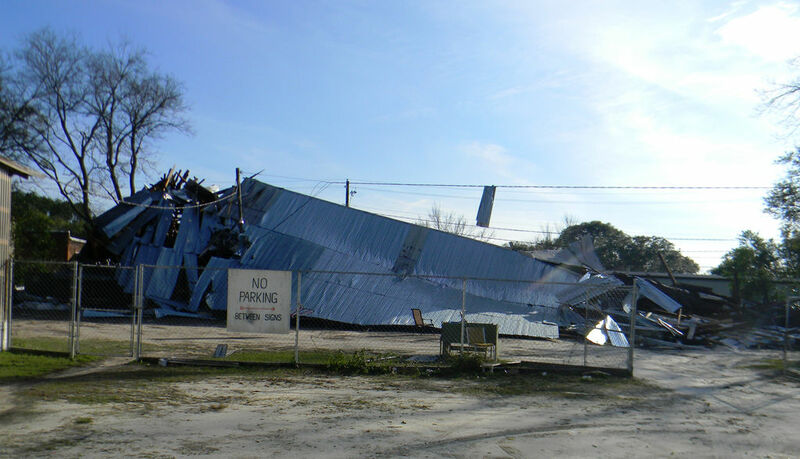 Among this damage, was our 10,000 sq ft Thrift Store Warehouse located at 614 W Roosevelt Ave, which was completely demolished to the ground. While we are very grateful that no one was hurt, the financial impact will be very severe for us. Our warehouse served as our primary source of daily income for our ministry. It housed all of our donated furniture and non-parishable food donations that we had just acquired during the 2016 holiday season. We want everyone to know though, that the Thrift Store is OPEN and still functioning. 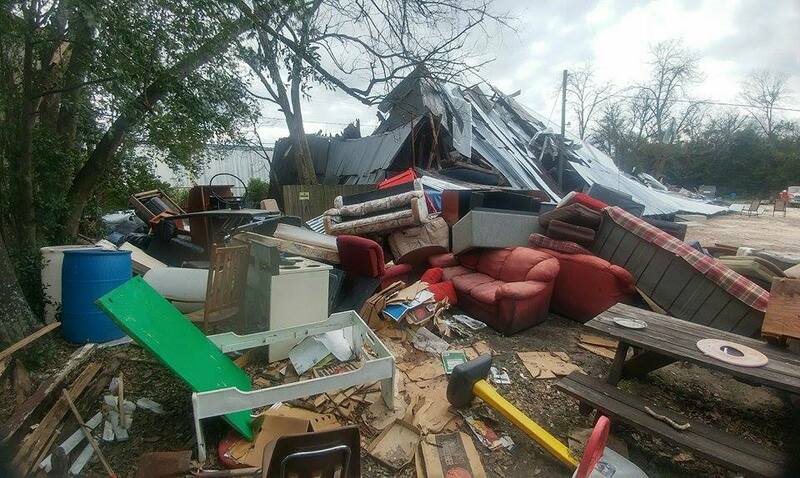 The store itself didn't receive any damage and we encourage all of you to continue to send us any and all donations. 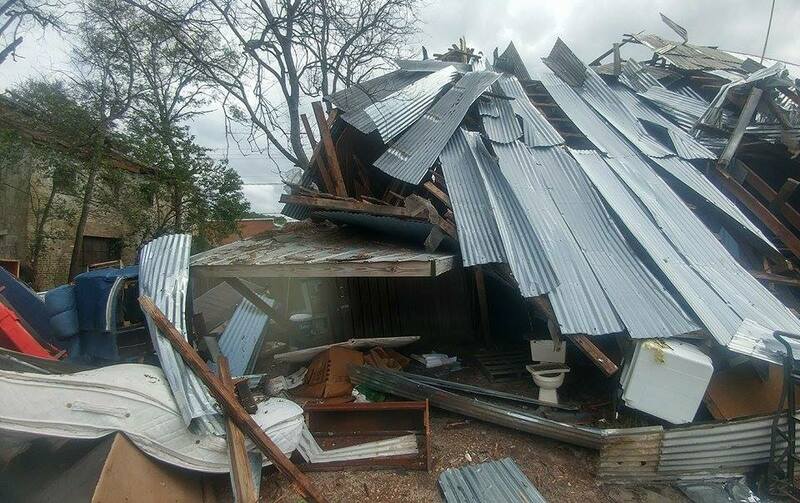 We need your help now more then ever to help us in the rebuilding process. If you’d like to donate items, please call the Ministry office at (229) 435-7615 for instructions on where to deliver your donation or to arrange for a pick-up. As you can see from the photos above what was our warehouse, and what will be our new warehouse. 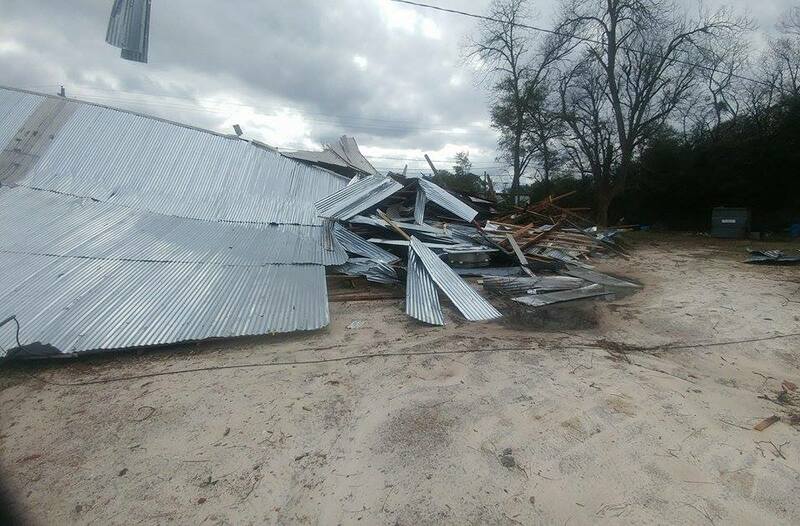 On Jan 2nd of 2017, our 10,000 sq ft warehouse was totally destroyed by 90 to 100 mph winds from the storms that hit the city of Albany around 11 o’clock at night. It took us several months to clean up all the debris. Then in October of 2017, we met with the supplier and contractor to lay out plans for our new warehouse, and we also reached an agreement on the cost of material and labor to build it. We also knew nothing would happen until after Christmas and New Year’s. We expected them to start in Jan of 2018. This is when all the problems started. First, the supplier made mistakes on the size of the building. They added an extra 10 feet and said that we owed them an additional $3,500.00 more. Then they claimed we didn’t order insulation, which in fact was not true. They charged us $2,500.00 more for that and another $1,000.00 for other materials. We kept waiting for the material and the contractor to start. They then changed their price of the required labor from $20,000.00 to $27,000.00, so we now had an additional $14,000.00 dollar increase we were not prepared for. 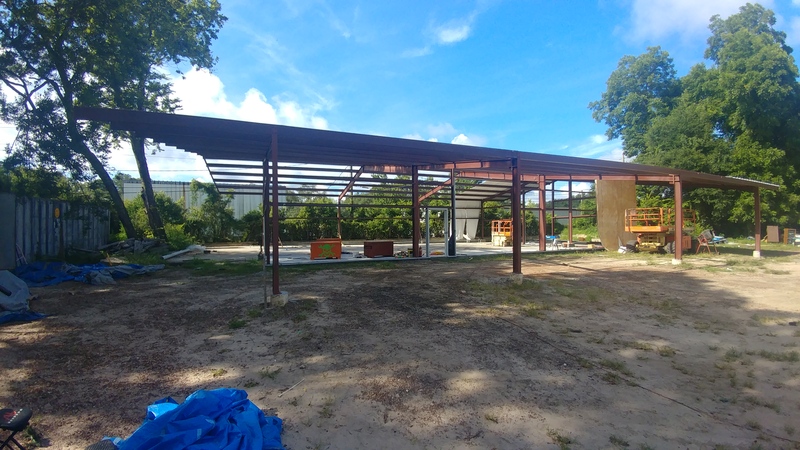 Then comes the next problem, the contractor said he could not get the steel building up in the agreed upon time frame of 2 ½ weeks. So there was another long delay. Then once they finally started they only worked for a few days and went to several other jobs they were doing. We are still at the very least several more weeks until completion at the rate they are going. However, the biggest problem from all of this is the loss of income from the Thrift Store. Since our warehouse was destroyed in Jan of 2017 we have lost an average of $750.00 per week for the last 18 months. This is a loss of $40,000.00 in income to our ministry. We have had to use extra funds to keep providing the services we provide to our residents and the public. We would appreciate any extra you could afford to give to help us meet our needs at this critical time. I want to thank you for helping us reach The Least, The Last, and The Lost with the saving gospel of our Lord and Savior Jesus Christ.